A HELENSBURGH man was one of the best known character actors of his generation. James Copeland — known to all as Jimmy — is best remembered for his appearances in the BBC TV drama series Dr Finlay’s Casebook and the film comedy Rockets Galore. But he was a man of many talents. He was born James Gordon Copeland on May 1 1918 in his parents home at 43 Grant Street. His father John, who ran a painting and decorating business, married Annie Gordon on April 5 1912 in Rhu. Later they lived at Hopewell Cottage, Lomond Street. After completing his education at Hermitage School in East Argyle Street, he joined the police. But he was a keen amateur actor, and he soon became a stalwart of the Scottish People’s Theatre in Dumbarton. 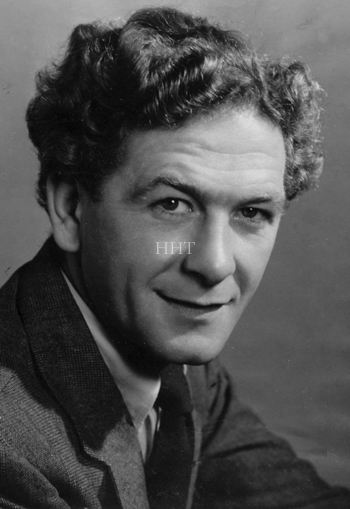 Later renamed Dumbarton People’s Theatre, it flourished from 1938, and two of its leading members were Jimmy’s former Hermitage teachers, playwright and poet Ian Simpson and artist and set designer Gregor Ian Smith. After the Second World War broke out Jimmy went to work in the Blackburn Aircraft Factory in Dumbarton, which built flying boats, and in 1941 he married Helen Goodlet Findlay from Shotts, Lanarkshire. Later he studied at the College of Dramatic Arts in Glasgow while working at night as a water bailiff with the Loch Lomond Angling Improvement Association. While still at college he had his first professional engagement at the Citizens Theatre in Glasgow, and he never looked back. He went on to appear on London’s west end stage, and made numerous appearances on television, including Dr Finlay’s Casebook for which he wrote two episodes. He appeared in 13 films — the best known being Innocents in Paris in 1953, The Maggie in 1954 which received three BAFTA nominations, Rockets Galore in 1957, Tunes of Glory in 1960, and Private Life of Sherlock Holmes in 1970. His last film role was in the acclaimed 1991 American film Rage in Harlem, a quirky film adaptation of a Chester Himes crime novel. Jimmy played a jailer in this gangster tale set in Mississipi and New York with a love story hidden underneath. His was a familiar face to TV audiences in the 60s and 70s in series including Dixon of Dock Green, Softly Softly, Z Cars, The Brothers, Dr Who and Take the High Road. 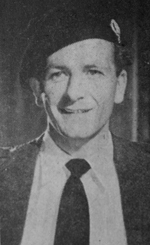 In 1955 he was made a Freeman of the City of London, and for a time in the 1960s he worked as an a continuity announcer for Grampian TV in Aberdeen, appearing in their 'News and Views' magazine programme. He also starred as Alex MacLeod in the popular 'Flying Doctor' series. Jimmy was a very talented writer, penning articles and stories for magazines, some of which he read on TV and radio. A keen poet, he was an expert on both Robert Burns and McGonagall, and he wrote Jimmy Copeland’s Shoogly Table Book of Verse, which included a poem about the Scottish Junior Cup final. He also wrong songs. Probably the best known is These Are My Mountains, which became a hit for both Peter Mallan and the Alexander Brothers, and another popular one was called Loch Maree. He and his wife Helen, who predeceased him in 1997, had a son James Ronald and a daughter Laura. They also had several grandchildren. Their son James, who was born in Clydebank, also became an actor, taking the stage name of James Cosmo, and he is well known for playing ‘tough guy’ roles, including a main part in Braveheart alongside Mel Gibson. He too had a Helensburgh connection, as for several years he owned and ran the Granary health food shop in Colquhoun Square before becoming a full time actor. Jimmy Copeland died peacefully at his home in Twickenham, London, in April 2002 a few days before his 84th birthday, after a long illness. Photo by special permission from The Herald, Glasgow.